Keep your collection neatly organised and beautifully on display. Save up to Five times the Shelf Space . Find your favourite Group, Artist or Symphony in seconds. 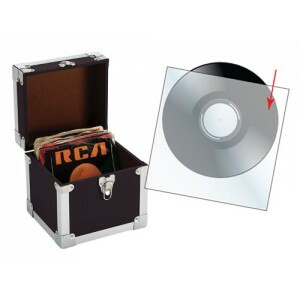 Current CD cases are made of PVC and therefore contribute to CD Rot. Avoid scratches , dust and dirt -All Arrowfile refill pages are made from top quality polypropylene which is chemically inert Acid-Free material, guaranteeing archival protection. Choose the pocket refills to suit your requirements. From one DVD plus booklet through to 8 CD/DVDs Arrowfile refills will protect, organise and help dispay your collection.There is no limit to how many times you can insert, remove and reorganise it. 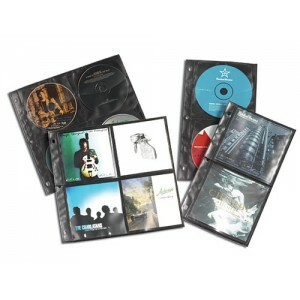 Simply add an CD/DVD binder album to your basket and use the Compatible Refills button to select the appropriate refills to suit your needs.